If you are migrating to Australia and you need your furniture removed by professional international removalists, Brisbane Removals and Storage have overseas contacts in most countries to assist you with that move. Relocating families for more than 10 years, we have set our standards and built up a recommendation list and set requirements to our business so you know you are in safe hands. We can service all the major capital cities in Australia, Sydney, Melbourne, Brisbane, Fremantle, Adelaide and Darwin from these major ports we can deliver to all states of Australia including NSW, QLD, VIC, NT, ACT, SA and TAS. 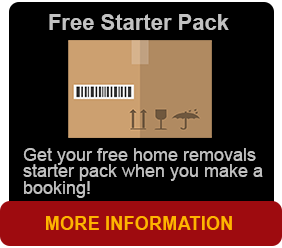 A FREE NO OBLIGATION on the spot quote can be organised of your move between 2and 4 months prior to your intended relocation to Australia.We have world wide estimators that will visit your home or office to help you with packing and the amount of household good to be shipped to your new residence. 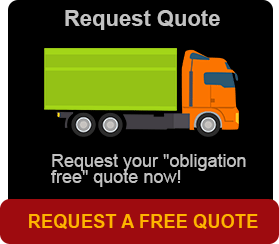 You can request a 2nd estimate which excludes certain items, enabling you to ascertain the cost effectiveness of sending those items, customers have found this part of our international removal service very useful. After your quote is done we will organise 2 or 3 of our administration team to co ordinate your move into Australia. With a wealth and years of experience and knowledge of Australian local removals they will guide you through the process and you will be able to communicate with them at all stages.Everything is organised from the start, from the first contact through to the quote. We will maintain close contact with you to make sure that every need is sorted and all loose ends are tightened. Any other arrangements can be handed by our office in Brisbane. Your furniture will be safe and free of scuffs and damage with our quilted removals blankets. The export packing and loading of your possessions is probably the most important part of the whole international removal process, it is important that the removal company you choose will protect your fragile household items using the correct export grade of industry approved packing materials. It is there for important that they have on hand highly skilled and fully trained export packers. When you use our container service we will deliver the container to your door, pack and load your container at your residence in your presence, seal the container and it will be shipped directly from your door to Australia. If you have selected our ‘share a container’ service, we will pack and measure your consignment at your residence and return this to our warehouse for loading in the next group age container to your Australian destination. With the Brisabne Rremovals and Storage share a container service you will only be charged for the amount of space your goods use in the container. Shipping to Australia and all the approximate shipping times are based on estimated dates announced by the shipping line operating the vessels. The estimated time of arrival for full containers is 5-6 weeks and 8-10 weeks for share a container service to Australia and New Zealand. Once the shipping container has been loaded for transport, it is secured sound using a seal and then transported for loading onto one of the vessels and shipped to Australia. We will contact you before your container arrives at the desired port in Australia. If you are not ready for delivery we can arrange storage at extremely preferential rates. We will also provide you with an Australian Customs Form on the day if you haven’t already got one prior to your departure from the UK. All consignments which arrive into Australia are subject to Australian Customs clearance & Quarantine examination, we will collect your container under customs bond and transport it to our bonded warehouse, where your goods will await customs clearance & quarantine, this can usually take between 7 and 14 days. See Australian Customs & Quarantine below. When your shipment arrives in Australia we will arrange for your personal effects or household effects to be customs cleared by Australian Customs and Border Protection Services. To assist us with your clearance you will be required to complete an unaccompanied effects statement which is an Australian Customs Form B534, this can be completed in the UK before your departure or in Australia. If your goods are arriving into Australia before you do, you can nominate a member of your family or a friend in Australia to act on your behalf, but in this scenario you must complete the Australian Customs Form B534 yourself before you depart the UK. You will also be required to present the following information to Australian Customs. Please note that your completed Australian Customs Form B534 is a joint declaration to Australian Customs and Australian Quarantine Inspection Services (AQIS), any relevant information will be passed onto Australian Quarantine Inspection Services (AQIS). If you shipping a firearm, you must contact Australian customs & apply for import permission from the Territory Police Registry, an import permit B709a must be received before exporting. Been owned and used for 12 months or more by you in that period. Returning Australian Citizen who has been living outside of Australia for 1 year or more. If you would like assistance regarding Australian Customs, please don’t hesitate to contact our knowledgeable staff. Australians are naturally concerned about their environment and wish to protect their agricultural industries from possible contamination by foreign pests and diseases brought in through the movement of personal and household effects to Australia. The Australian Quarantine and Inspection Service regulate the importation of personal and household effects and your goods are subject to inspection upon arrival. Very important for you to be given the correct advice b4 deciding to ship certain items. Please ensure that all Garden Tools, Garden Furniture, Toys and outdoor sports equipment have been cleaned before exporting them to Australia a full list of items subject to inspection. Any ornaments manufactured from animal skins or ivory being transported to Australia must have a Cites Certificate. The AQIS officer will select certain items for examination, all quarantine examination, treatment and associated handling costs are payable by the owner of the container in Australia. These charges can vary according to the number/nature/condition and cleanliness of the items examined. The Quarantine Inspection charges range between AU$220 to AU$800 depending on the square metres of your shipment and the type of items you are shipping. Unfortunately due to the regulations set out by Australian Customs and AQIS, your goods will not be delivered inside your original sea freight container. After clearance your goods will be loaded onto a separate vehicle and delivered to your residence. Our unloading crew will place your items in the rooms of your choice and unwrap and remove the packing material from your furniture. This information should be read as a guide only, please note that the information supplied is subject to change and we recommend that you the customer reconfirm any applicable aspects with the appropriate Australian government departments or Brisbane Removals and Storage.